What Is The Best Remote Control Video Camera For Your Church Services? Why Did We Choose the PTZOptics IP Streaming Camera As The Best Remote-Control Video Camera For Church? Conclusion- Why Should You Buy the PTZOptics Streaming Camera for Your Church? What Are The Best Church Live Streaming Cameras? 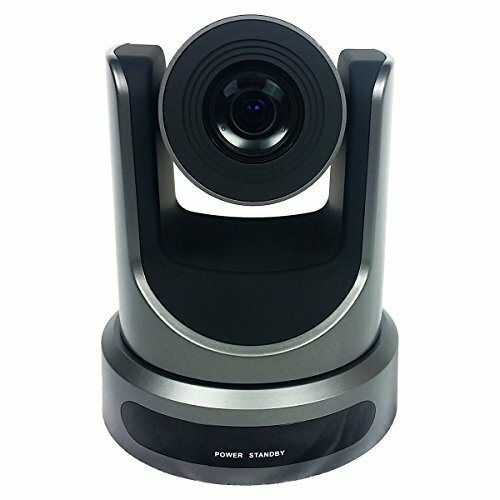 The PTZOptics IP Streaming Camera is a powerful, compact video camera that is operated remotely through a switcher, joystick, or computer. It offers professional-quality video recording and streaming capabilities, along with several other useful features. For those who want the best remote-control video camera for their church, the PTZOptics camera requires a closer look. It is one of the few high-end video cameras that features multiple outputs for dual video streaming. You can use the 3G-SDI, IP, and HDMI video outputs to dual stream high and low bit rate streams at the same time. A remote-control camera is a wonderful solution when you need to keep your hands free to perform other functions. For example, you may need to set up multiple cameras in your church or venue and control them from a central location. This allows you to avoid the need for additional operators. With the remote-control operation, you can also enjoy smoother movement. Compared to handheld panning, the best remote-control cameras should offer steadier movement. The PTZOptics IP Streaming Camera includes these features, along with a few other benefits. It is also one of the best options for live video streaming. Examine the rest of the details to determine if this camera meets your needs. The main detail to examine when choosing the best remote-control camera is the video resolution. If you want to record full HD video, the camera needs to offer 1080p recording. You may also need to output a specific video file format, such as MJPEG or H.264. The remote-control camera needs to be connected to some type of controllers, such as a video switcher or computer. The best cameras should have multiple outputs for accommodating different devices. For example, the PTZOptics IP Streaming Camera includes both HDMI and SDI outputs. The purpose of the remote-control capability is to provide control over the movement of the camera when panning or zooming. Controlling the camera should be easy and provide smooth operation. The PTZOptics IP Streaming Camera was selected as the best remote-control camera due to the video quality. You can capture professional-quality video from this compact device. It records in full 1080p high-definition. It also includes low light settings and noise cancellation to prevent your video from appearing grainy. The smooth mechanical movement of the camera is another reason that this is the best remote-control camera. When you pan the view of the camera, the movement is not jerky. You get a steady shot as you change the direction of the camera, especially when compared to panning with a handheld camera. We also enjoyed the high-quality optical zoom. With some cameras, the optical zoom results in a blurry video. While you may have the option of zooming across a field, the video may appear pixelated. This is not an issue with the PTZOptics streaming camera. You also get a clear shot, even when fully zoomed in. The PTZOptics IP Streaming Camera offers several wonderful benefits, along with two minor disadvantages. 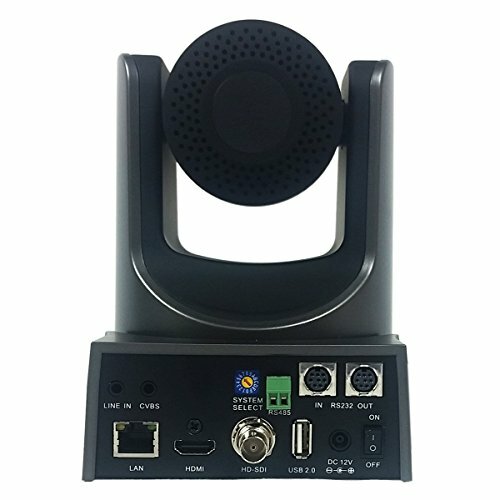 The advantages include the simultaneous video outputs, the RJ45 input for live streaming, the compact design, and the noise cancellation technology. With the PTZOptics IP Streaming Camera, you can utilize both video outputs at the same time. You may simultaneously stream or transfer video through the 3G-SDI, IP, or HDMI outputs. The camera also includes an RJ45 input for connecting the camera to a network device for high-quality live streaming. The compact design makes it easy to find a place to position the camera. You can place it on a desk, on the floor, or mount it to a wall or ceiling. The options are endless, giving you more control over where you want to set up your remote-control camera. The noise cancellation technology is also great. The PTZOptics camera uses the latest noise reduction technology to help deliver sharp, crisp video. Typically, limited lighting results in unwanted noise in the video, creating the appearance of film grain. The technology included in this remote camera help to eliminate this issue. One of the disadvantages is the expensive price tag. The camera costs a little under $2,000. However, this is a professional-grade camera, and there are options that are even more expensive. While some people may find the price too steep, it is reasonable considering the quality of the video. The next disadvantage is the need for additional equipment. Novices may struggle to properly set up this video camera. You need a controller, such as a switcher or a computer software, to control the camera. You also need a connection to record or stream the video. The PTZOptics streaming camera is considered one of the best remote-control video cameras by customers for a variety of reasons. Customers tend to love the ease of use, as it does not include any complicated controls or extra settings. You can simply connect it to your recording device, computer, or switcher. However, the need for extra equipment may also deter some consumers. The PTZOptics provides one of the best options for live streaming HD video. You can even connect it directly to your network with the RJ45 input and instantly start live streaming. Along with IP streaming, the camera includes a 3G-SDI output and an HDMI output. You may use these outputs simultaneously, recording or sending video to two different sources at the same time. If the PTZOptics IP Streaming Camera is not outside of your budget, it is a fantastic option for capturing exceptional video in almost any environment. Pan/Tilt/Zoom (PTZ) cameras allow you to control your camera remotely. Check out our Logitech PTZ Pro Camera Review to learn more.